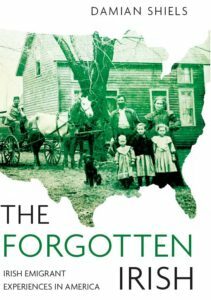 A previous post looked at a number of Irish veterans who returned to the land of their birth following the American Civil War and received a pension for their services, delivered to their local post office. Part 2 of the series looks at a further eight veterans who are recorded on the 1883 ‘List of Pensioners on the Roll’ . These men returned to Ireland for a variety of reasons, but for many the injuries they sustained would seem likely to have been a major factor in their decision. Here are veterans of Fredericksburg, the Atlanta Campaign and Petersburg, as well as those who fought Native-Americans on the frontier during the war years; all returned to Ireland to live out their lives after 1865. Louis Wilson was granted a pension of $24.00 a month from November 1865 for the loss of his right thigh. He had served in the Western Theater with the 17th New York Infantry, having enlisted for three years on June 22nd at the age of 29. He had initially served in the 11th New York Infantry from September 2nd 1863, before transferring to Company E of the 17th New York on 1st October that year. Louis was promoted to Corporal on 26th January 1864, before receiving the wound that would take his leg at Jonesboro, Georgia on 1st September, 1864. He was discharged from service due to disability on 9th June, 1865. George Church enlisted for three years in the 17th New York at the age of 39, on 25th September, 1863. 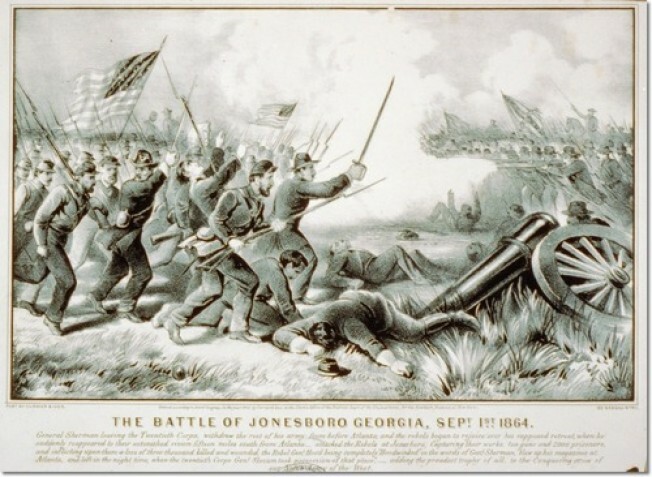 As a Private in Company G he accompanied his unit to the Western Theater, where he was wounded on 1st September 1864 at the Battle of Jonesboro, Georgia, during the Atlanta Campaign (the same battle that took Louis Wilson’s leg). His wound resulted in the loss of his left arm, and George was discharged for disability on 30th December 1864 in New York. Returning to Ireland he was in receipt of a pension of $24.00 a month in Cork city, which started in June 1865. Simon Dowling was in receipt of a pension of $6.oo a month which was granted in 1872, and delivered to his home village of Kiltoom, Co. Roscommon. Simon was 38-years-old when he enlisted in New York on the 12th October, 1862 to serve three years in Corcoran’s Irish Legion. He mustered in as a private in Company G on 19th November, 1862, but was discharged for disability on 27th August, 1863. The disability for which he received his pension was caused by an injury to the abdomen. He was also borne on the rolls under the name Michael Dowling. John Pigot collected his pension of $8.00 a month at the post office in Magherafelt. He had been granted the sum in March 1865 for a wound he had received in his right thigh. Pigot has joined the ‘Tammany Regiment’ on 1st June 1861 to serve for three years. The 30-year-old quickly rose to Corporal in Company E, a role he took up on 22nd June 1861. He received the wound that led to his disability at Bristoe Station, Virginia on 14th October, 1863. He was transferred to an unassigned battalion of the Veteran Reserve Corps in 1864. Jasper Stafford lived in Screen, Co. Wexford after the war, where he was in receipt of a pension of $18.00 a month. He had enlisted in the 170th New York on 10th September 1862 at the age of 34. Mustering in as a private in Company D on 7th October, 1862, he was wounded with Corcoran’s Irish Legion at Petersburg, Virginia on 16th June 1864. This injury led to the loss of his right arm. Jasper was discharged for disability on 27th June, 1865. Sergeant Richard Chestnut, 3rd Wisconsin Cavalry- Co. Donegal? Richard Chestnut lived in Ashippun, Wisconsin when he enlisted in the 3rd Wisconsin Cavalry on 19th October 1861. He served in Company D as both a Corporal and a Sergeant before being discharged due to disability on 11th November 1864. He suffered from paralysis to his right side, for which he received a pension of $12.00 per month from October 1866. This was delivered to his address in ‘Kilcare’ [Kilcar, Co. Donegal?] in Ireland. Chestnut had spent his service in the west, where his regiment had been engaged in battle at locations such as Prairie Grove and Honey Springs. His service would have brought him into contact with Native American forces fighting for both the Union and Confederacy. Patrick Forrester mustered into service with the 99th Pennsylvania on 12th October 1861. He was a member of Company F, recruited in Philadelphia. At the Battle of Fredericksburg, Virginia on 13th December 1862, he was seriously wounded and as a result lost his left leg. Patrick received a pension of $23.00 per month to his home in Derry/Londonderry from October 1873. Phaley Cunningham entered into service in Company C of the 83rd Ohio Infantry on 13th August, 1862 for three years service. He was discharged on 9th March 1863 at Nashville, Tennessee on a Surgeon’s Certificate of Disability. The reason for his discharge was the loss of his left arm, which he most likely sustained during either the Battle of Chickasaw Bayou, Mississippi in December 1862 or the Battle of Arkansas Post, Arkansas in January 1863. Cunningham would eventually return home to Newry, Co. Down where he received a pension of $18.00 for his disability, payment of which started in December 1863. A variety of sources were utilised for these biographies including Civil War Pension Index Cards, Index to Pension Files 1861-1934 and rosters of various regiments. A full reference list will be included when the resources page is completed. Interesting stuff. Does Pigot’s pension record indicate when he moved back and started receiving his pension in Magherafelt? Just curious, as I have ancestors from Magherafelt/Desertmartin by way of NYC, though no Pigot’s that I know of. A John Piggott lived in New York City in the 1870 Census, residing on West 13th, 4 blocks from my great great grandmother. It doesn’t state if he came back immediately or if he was in the US for a few years before moving back but that information may be contained in the rest of his file. He must have had some stories to tell the locals in Magherafelt when he did come back! I spend a huge amount of time going through the pension files as well, they really are incredible documents. Well done on systematically going through the naval files, there are so many! As a Limerick native William McGrath is extremely interesting, I must try to find out where he is buried. I would love to hear of anymore you come across- the Irish contribution to the navy during the war really is the poor relation to the land war, and if anything the Irish influence was greater at sea. You are doing some superb work, thanks for sharing some of it with us! Damian, do you hold an account with FOLD3? If not, I will send you the documents of McGrath from his naval file, and you will receive these by e-mail, if I can get your e-mail address. I will also discuss some information about one of your sources with you, which Barry will confirm. I’m interested in William McGrath, as my great, great grandmother was Elizabeth McGrath Green- mother Rebecca and father Patrick. She was born in 1829/1831(?) and must have gotten here (in the states) before she married my great, great grandfather, Thompkins in 1954. I believe she came over with her family and I’m sure she had siblings, though I don’t know their names. This is very interesting – thank you for doing this. No problem I am delighted you have found it of use! I am currently working on these pensioners in more detail and William will be one of them- are you based in Limerick Kathleen? Patrick Forrester is my Great Grandfathet. He had a son, Michael who in turn produced Michael John Forrester, my father. Patrick Forrester moved from Ireland to Glasgow in Scotland. Many thanks for the comment! Do you have much information on Patrick still in the family? Would love to find out more about his life. I am doing a little work on Patrick Forrester and will post-up anything I find. I know that he left some family behind in the USA – possibly Pennsylvania. Thank you for your work and interest. Many thanks for that- I look forward to seeing what you find! Have you ever seen a file for Patrick Leonard from Co.Louth ? Do you have any details on his service? It should be possible to track down a file for him.